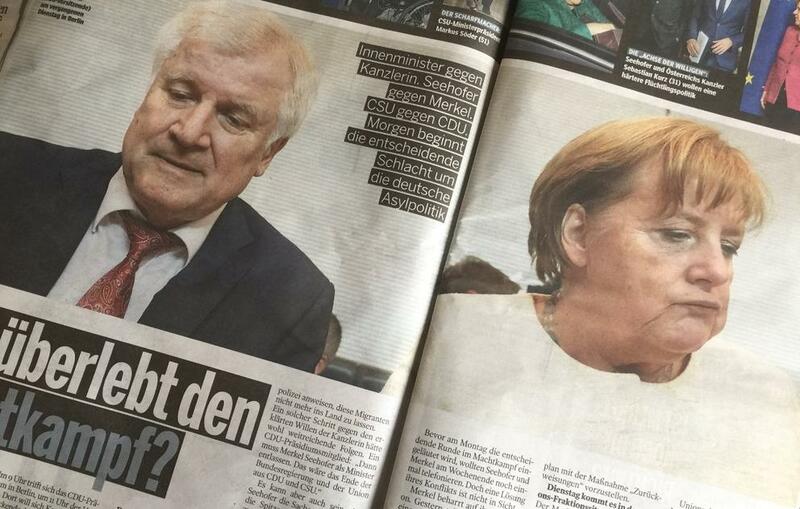 The British press finally caught onto what we here at thegoldwater.com been telling you for a few days (see our related coverage): German Chancellor Merkel, once considered the most powerful person in Europe, has squirmed herself into an impossible position when it comes to her immigration policy as she has to face off with her new Interior Minister Mr Ernst Seehofer and a vote within her own party next week could well decide her future. Mr Kai Whittaker, a member of Ms Merkel's own Christian Democratic Union, appeared on the BBC’s NewsNight programme yesterday evening and admitted that infighting could weaken the ruling coalition and make her position untenable. Mr Seehofer, who is of Bavarian origin, wants Germany to follow Italy or Austria’s lead when it comes to dealing with illegal immigration and basically shut the border. Ms Merkel wants to stick with her continued policy of relaxed rules for immigration. To this question, the MP for Rastatt in Baden-Württemberg said at first that the issue remained to be resolved in parliament but when pressed he admitted that there was a risk indeed. …if Merkel goes, then the EU folds! And about time because the Treaty if Lisbon is illegal.